After many years in the south of France, the Roc added another site to their program: La Clusaz in the French Alpes is a nice town with some excellent restaurants and 2 uplifts. 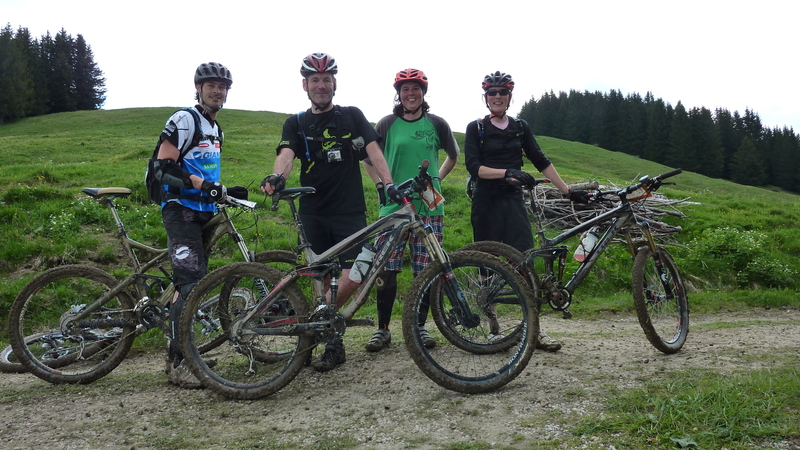 We headed there to try as much as the event had to offer, between our group we rode the Roc Marathon, All Mountain, Gourmet ride and Enduro race. The All Mountain was almost 50km and with 3 uplifts, the last uplift departed from La Clusaz and for a moment I though on skipping the last ±15km. This AM ride was very tough, with a lot of climbing, not too steep but just a lot of them. Very technical and slow descents and tons of thick mud. I’m glad I finished the whole lap including the final 15km because they where delicious. Just a hint of the Mont Blanc in the distance and some very fast downhills near the end to wrap it up. I had so much fun on my BMC 29er, a bike I got to test for a magazine. It’s a 100mm 29er with a 120mm fork and stealth dropperpost. I was hard work but I never regretted taking this bike, it was so much fun. I’ll want to ride again next year I’m sure! And the BMC, I had to turn in back in, with pain in my heart.